I like to see diagonals in photographs, from perhaps something that dissects a corner or contains a diagonal leading line to a prominent subject shot at an interesting angle. So for this competition I would like to see images that contain a feature or element at a diagonal. The diagonal does not have to be the primary feature but it must be fairly obvious. The usual weekly competition rules apply. Entries can be shot for the competition or taken from your archives. It must though be shot using a Pentax camera or their closely related clones. The winner is expected to set, comment on and judge the next competition. The competition closes at midnight GMT on Sunday, 24th March. Good luck and I look forward, with anticipation, to seeing your entries. Many thanks to all of you that entered. It was great to see such a good range of interpretations with such exceptional quality of craftsmanship and it is has been a privilege to review all your work. Just a reminder that I'm no expert at this. Everything here is just my personal opinion and the results reflect my personal tastes. I hope that I have not upset anyone as this was definitely not my intention. As always it is a terrific collection of pictures. A very nice, well observed and crafted, almost abstract, image to start off this competition. I love the way the surface finish appears to be so different between the two main elements of the picture. The blue skies and fluffy white clouds contribute really well to the structure and I also like the moiré affect in bottom left corner. All making this an excellent entry. I think this roller coaster image is excellent. Vic has picked just the right moment to capture the anticipation of the passengers and has the camera setup perfectly for the shot. It is also very well composed and I love the way the carriages are coming down between a partial gap in the clouds. I think this image works very well. I like the contrast between the structure of the jetty and the calming effect of the water. There is a good depth of field helping to maintain good sharp detail of the jetty yet help soften the background. The composition is excellent and I also love the way we see individual drops of water from the splashes of the waves. This is a nice detail image of a pair of tall cranes in front of a church spire and it certainly contains lots of diagonals. I think there is a good depth of field providing sharp detail and although overcast we still see good varying cloud for the background. The position and framing of the cranes works well and the camera has been well controlled in what were probably quite challenging lighting conditions. A great close-up detail of a transition in obviously fast moving water. Capturing the movement of water is not something I have really tried. There seems to be two schools of thought. One is to go for a long exposure to soften the flow and the other is to go for a faster shot to capture the finer structure of the water. I think Nigel has worked really well to balance these affects in this transition shot. It would have taken me many attempts and I probably would not have anywhere near the quality of this image. So for me it is an excellent well-observed and crafted shot and is a wonderful interpretation of the “diagonal” subject. I love this image. A while back we had a discussion in my local club about how to succeed in photo competitions and one thing that came out is that you should know what your judge likes. I do not know if Stan has looked at my portfolio or if this is just coincidence but this is my sort of photography . I think this is a fantastic picture and it certainly will inspire me, and hopefully others, to have a go at something like this. I can only say Wow! I think John has performed some wonderful manipulation to lift and enhance this Red Arrows shot. I particularly like the way the inner frame appears to be at a horizontal angle which I think helps to add depth to the image. It is a beautifully crafted image. As a very slight nit-pick perhaps it would have been nice to have seen a hint the white line around the inner frame in the two gaps in the smoke trails. However this really does not distract me from awe about the thought, work and skill that must have gone into making this image. A close-up detail of ice on a car door. This is certainly an unusual capture. I love the way the three elements of the picture differ. We get three different types of ice and three different shades of blue. I think it is a wonderfully observed subject. It is great that having seen the state of the car that you got the camera out to capture this very nice abstract picture. I guess with a focal length of 50mm that the camera had to be quite close. The exif does not show the aperture setting but I think you have done well to maintain good sharp detail although perhaps the bottom left corner is going just a little soft. However it remains a well-observed and crafted image. I think this is a really well-crafted image which certainly has lots of diagonal elements. Given the depth involved we get good sharp detail across the majority of the shot. The lighting, which I suspect was quite a challenge, has been well managed. The composition also works well and we see good combinations of colour and structure. Certainly a nicely observed and implemented picture. This is certainly a very good image of this bridge at dusk which I think shows off the excellent performance of the 18-55 kit lens. For the competition subject there are certainly diagonals being formed by the bridge suspension cables but for me they are not perhaps as prominent as I would have hoped being a little lost against the sky. However it is a well-crafted shot in challenging conditions and very nice to see here. It is great to see a train in this competition, particularly fronted by this colourful class 37 . Lots of great diagonals here. I think it is a well composed shot with a good level of detail in what looks like grim conditions and while it demonstrates some wonderful commitment to obtain what must be a fairly unusual train I hope that you did not get too wet. I think this is a really nicely put together shot. Not only does it do a grand job of capturing this marvellous old car it also includes good context of its environment. You have done really well to manage the lighting and reflections in quite challenging conditions. The composition also works well and the depth of field and focus point provide lots of sharp detail. I also love that you have got a couple of people in the image. Really well done. What a fantastic diagonal you have captured here. I think the composition is excellent and I love the way you have gone about framing the shot. There is a good depth of field providing lots of sharp foreground detail and we get terrific context with the way we are looking down towards the distant fields and well positioned horizon. Obviously not perfect weather conditions but I think you have done really well to capture the essence of this place. No argument about diagonals here. I think it is a great shot with terrific impact. The bright lighting works well providing shadows that add extra detail. The composition and framing also work well and the camera settings have been well managed. A really bright and colourful fun image. I think this is a fantastic shot. I am amazed how similar it looks to Nigelk’s water image. I guess this is some sort of leaf structure and although shot with a 300mm lens looks like a close-up image. The composition works well, the lighting has been well managed and the structure provides terrific impact. Another excellent, well observed and crafted image. Certainly an excellent capture of this snake and I will accept that the triangular positioning of the zig-zag snake and/or the patterning on the snake does provide some soft diagonals to make this a valid entry. I am in awe that it appears to have been shot with 60mm focal length implying that you were not very far away. Certainly a very well observed and crafted image. 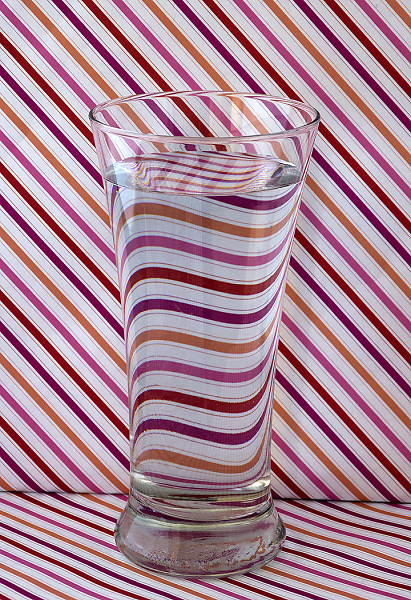 1st – tyronet2000 for “Refraction” – Because it is my sort of planned still-life shot. It is a really well crafted and I love it. 2nd – JAK for “Jetting Into the Frame” – For the excellent visualisation and craft skills that have obviously gone into producing this image. 3rd – Johnwnjr for “Beaulieu Royal Royce” – Because it is such a nicely put together image of this old car and the environment it lives in. vic cross for Blue Coaster. Nigelk for Stretched to Breaking Point. I think this completes my responsibilities here and hand over to Stan for the next round. Thank you for choosing my image as the Winner, and Very Well Done the other podium places and everyone who who entered. I think between us we gave the judge a "difficult" time. Thanks to Glyn for the interesting subject, the judging and the comprehensive comments. I will set the new competition and soon as possible . Great set of images, well done Glyn on the judging. Congratulations to the podium places, that is a beautifully executed winning image Stan, very clever. Well done to Stan - excellent shot. Many thanks to Glyn for judging. I wouldn't have liked to split first two. Well done to Stan, that was really well seen. Also to Johnwnjr for his podium placing (it can be quite tricky to get decent photos like that in museums) and to the HCs. There were an interesting selection of takes on the subject and seems I managed the coveted second spot which will avoid having two sets of photos to judge next weekend! Phew, that was close! Thanks to Glyn for the competition and judging. Heartily agree, excellent set of image in this challenge, and congrats to Stan, worthy winner. And congrats extended to JAK and johnwnjr and not forgetting the HC's, Smudge, Vic Cross, Paulb531 and NigelK. And thanks due to our judge for the challenge, C&C's, always appreciated. Well done all! Well done Glyn for an interesting subject which brought a good variation of entries and for the judging and comments. Congratulations to tyronet for a first class entry - I liked every thing about this picture. Congratulations also to JAK for what must have been a very close 2nd and to Johnwnjr for 3rd with another fine pic. and finally to all the HC's.